Utilities & Infrastructure Workers Needed! Your probably know what we mean by utilities and infrastructure but just in case, this section covers jobs with utilities (power/electricity, gas, water, sewage) and infrastructure (the term typically refers to the physical structures that support society, such as roads, bridges, dams, sewers, electrical grids, railways, airports, canals, levees, ports, mass transit and so forth). To make it simple, infrastructure is anything that is needed every day. Employment in the water, sewage, and other systems industry is anticipated to increase 26 percent by 2020. 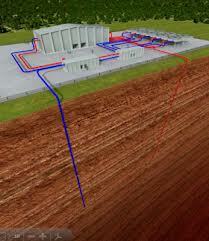 As the population continues to grow, more water treatment facilities are being built, driving growth in this industry. Growth among engineering occupations, especially civil engineers, is expected to be high. As the nation's infrastructure ages, a greater emphasis will be placed on maintaining existing structures as well as designing and implementing new roads, water systems, and pollution control systems. Civil Engineers design and supervise large construction projects, including roads, buildings, airports, tunnels, dams, bridges, and systems for water supply and sewage treatment. Civil Engineering Technicians help civil engineers plan and design the construction of highways, bridges, utilities, and other major infrastructure projects. They also help with commercial, residential, and land development. Civil engineering technicians work under the direction of a licensed civil engineer. Construction and Extraction workers build roads, bridges, and other structures, and work in mines, quarries, and oil and gas fields. Employment of these workers is expected to grow 22 percent. Job growth will result from increased construction of and the repair and replacement of the nation’s infrastructure. Architects plan and design buildings and other structures. Landscape Architects plan and design land areas for parks, recreational facilities, highways, airports, and other properties. 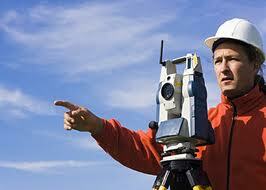 Surveyors establish official land, airspace, and water boundaries. Surveyors work with civil engineers, landscape architects, and urban and regional planners to develop comprehensive design documents. Telecommunications Equipment Installers and Repairers also known as telecom technicians, set up and maintain devices or equipment that carry communications signals, connect to telephone lines, or access the Internet. Electrical engineers design, develop, test, and supervise the manufacturing of electrical equipment such as electric motors, radar and navigation systems, communications systems, and power generation equipment. Electronics engineers design and develop electronic equipment, such as broadcast and communications systems—from portable music players to global positioning systems (GPS). Civil engineers need a bachelor’s degree. They typically need a graduate degree for promotion to managerial positions. Civil engineers who sell their own services publicly must be licensed in all states and the District of Columbia. Although not always required, an associate’s degree in civil engineering technology is preferred for civil engineering technicians. Line installers and repairers require long-term on-the-job training and some technical instruction. Formal apprenticeships are common. Postsecondary education in electronics and computer technology is important for telecommunications equipment installers and repairers. For more complex work, a 4-year degree may be the best preparation. Industry certification is required for some positions. Electrical and electronics engineers must have a bachelor’s degree. Employers also value practical experience, so graduates of cooperative engineering programs, in which students earn academic credit for structured work experience, are valuable as well. Most boilermakers learn their trade through a formal apprenticeship program. Candidates are more likely to get into training programs if they already have welding experience and certification.